We recognise the importance of our children as the lifeblood and future of the church and as a consequence have invested a significant part of our resources in the employment of a Children’s Worker, working alongside the clergy team. This has resulted in the establishment of an active Sunday Club, for children of primary school age, and ‘Little Fish’, for toddlers and children up to four years old, both meeting weekly. Recently we have introduced “Messy Sunday”, for families with children of primary school age, although no one is ever excluded from family activity and this has proved to be extremely popular. Sarah Mullen, our Children’s Worker also runs several workshops each year, many of which coincide with the major Christian festivals at Christmas and Easter. 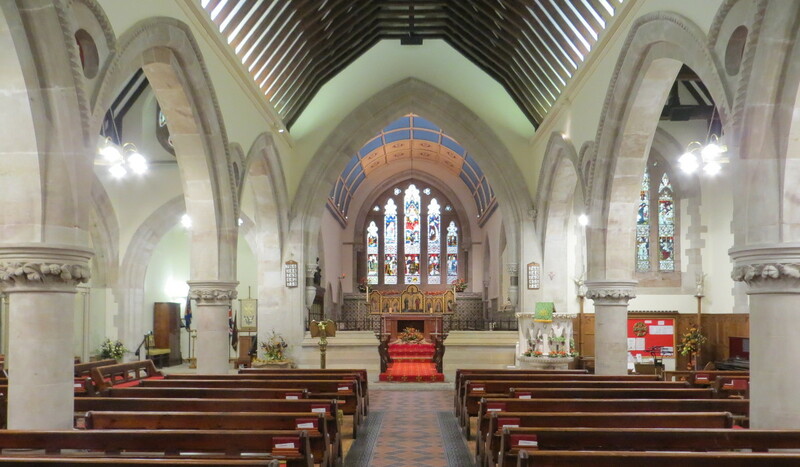 We also maintain close links with our own church school (now part of the St Bartholomew’s Multi Academy Trust) and the other schools within the village. We follow strict Safeguarding regulations, in accordance with Church of England and Diocesan recommendations and copies of our Safeguarding Policy are available from the Parish Office (Tel: 01902 897700 or email office@stbenedictbiscop.org.uk), or Tess Guest, our Safeguarding Officer for Children and Young Adult (Tel: 01902 894219). In addition to all the regular activities Sarah also organises workshops for children and young people to coincide with both the great Christian festivals of Christmas and Easter and also during the school summer holidays. Sarah is always looking for volunteers to help with the whole range of children’s activities and events and if you are interested in finding more about this, please contact her – details shown below. Note: For more information on any aspect of our children’s work and any general enquiries regarding the activities that we offer for them, please contact either Sarah Mullen (Tel: 07702376169, Email sarah@stbenedictbiscop.org.uk), or our Parish Office.